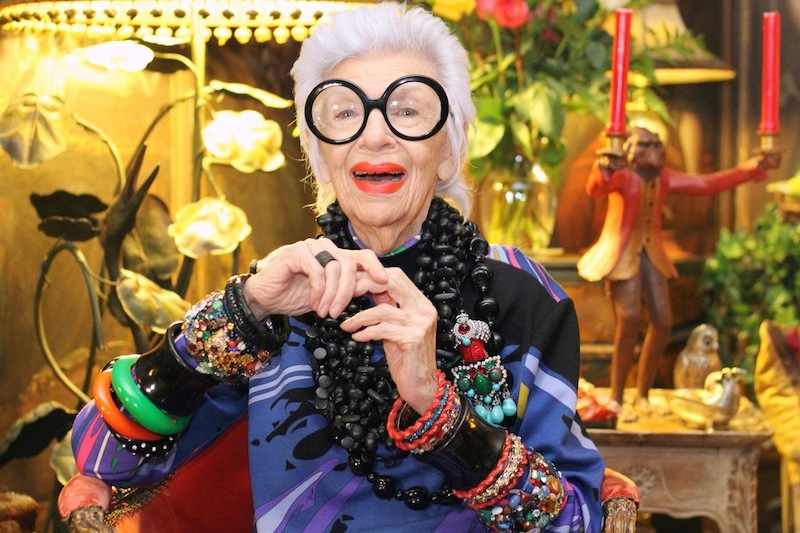 ACCESSORIZE: When it comes to Iris, I believe the first thing you see is either her walking stick, eyeglasses or layered accessories on her neck or arms. 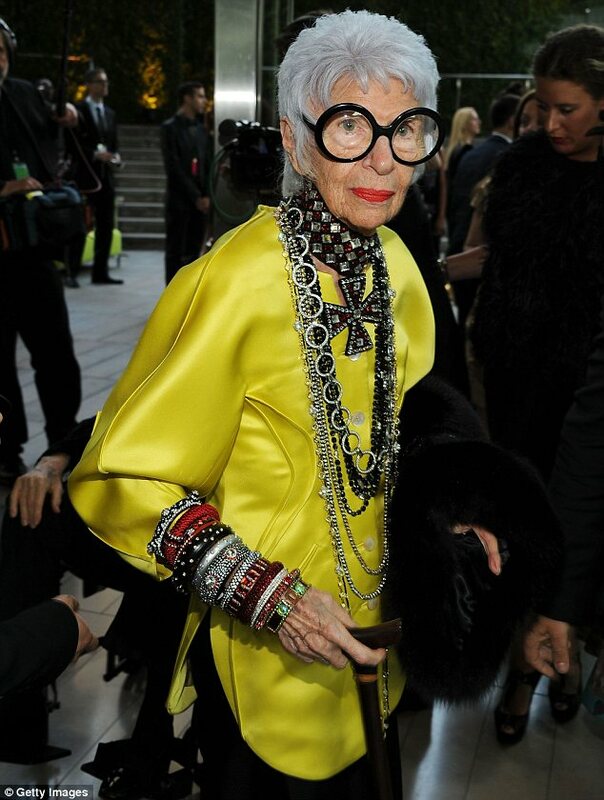 Her accessories keep reminding me that all I truly need on any plain outfit are layered accessories. You already know I love accessorizing. MAXIMIZE: You know what they say go big or go home. 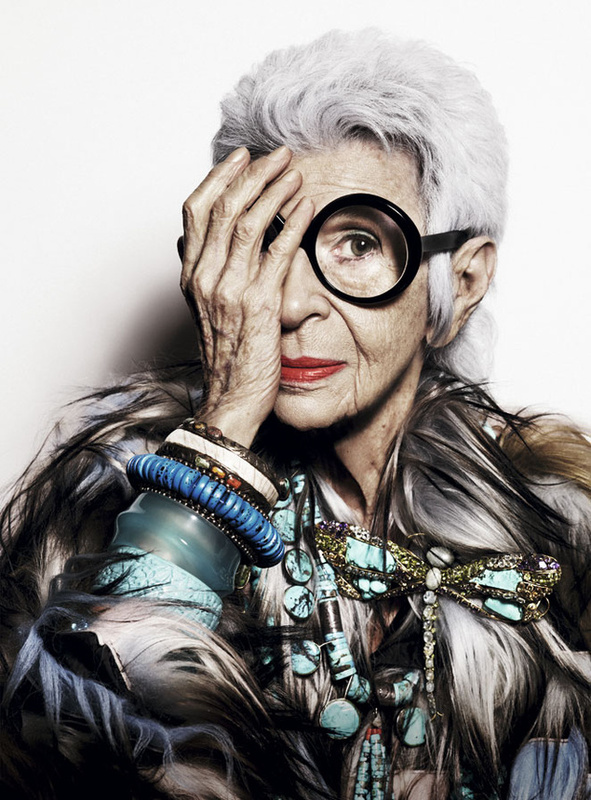 Iris is who you can describe as a maximalist, she doesn't do it small, her bangles, neckpieces and that signature glasses reminds us how much fun maximalism can be, maybe we can save minimalism for our blog layouts and our personalities, but when it comes to our fashion and style, we better go big or go home. 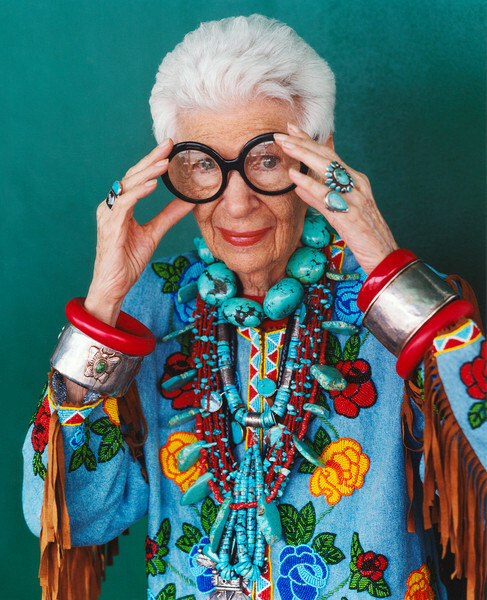 WEAR COLOUR: Whether its your lipstick, your jewelry or pants, wear colour. I remember watching a fashion video of Anna wintour where she said she wouldn't and could never wear black all through. Uniforms used to be so boring because it was wearing one thing and it never really showed how stylish or unstylish one is, Then we had housewears in coloured checkered fabrics and we could sew anything and everything and that made a difference. 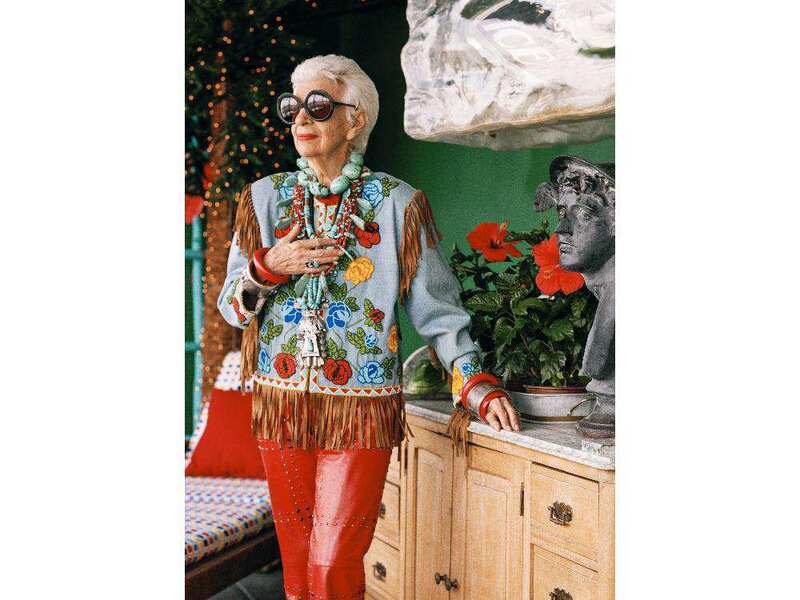 With all this in view, Iris doesnt only teach us how to wear colour but she also reminds us how much wearing colours can be flattering. VINTAGE IS BETTER: This doesn't really need an explanation, unique pieces are everything. Faded Denims, Vintage bags and sunglasses and brooches are exactly what you need to stand out. 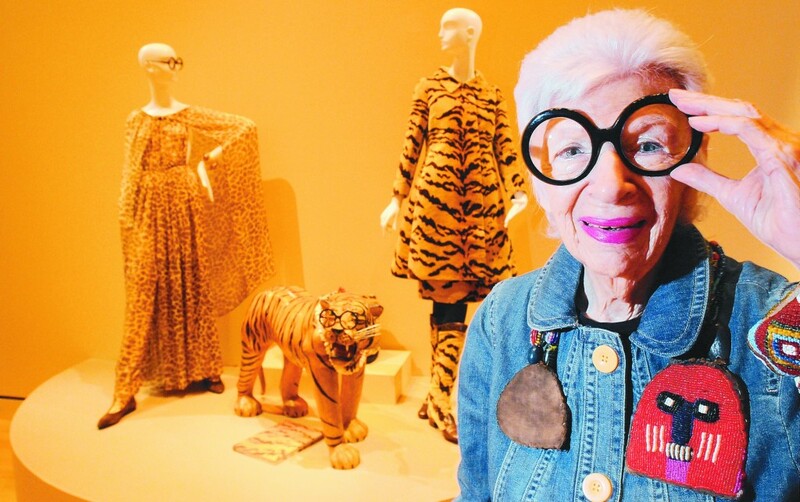 Iris rocks and owns a wide variety of vintage clothing, lets not forget she is 94 years old. 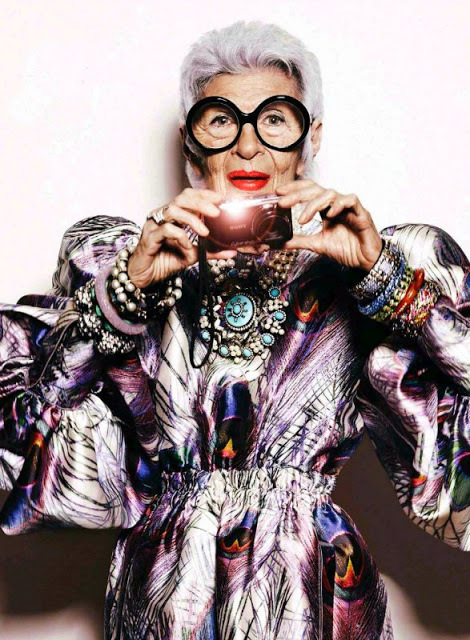 THE PRINT-IER THE PRETTIER: what else can I say be printastic. She always has a way of blending colours with prints. wearing her print jackets, pants and even accessories makes her look like art. 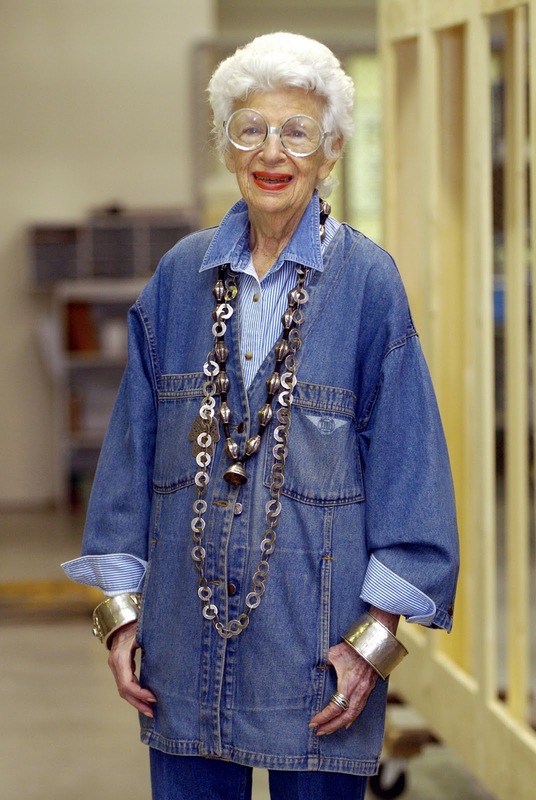 I have learnt from her how important it is to occasionally throw on a print jacket or jewelry over an outfit. 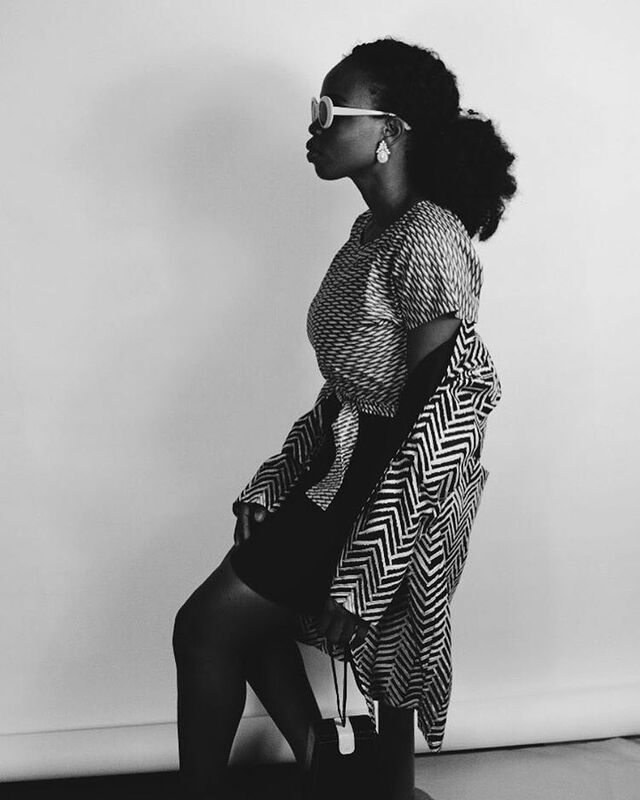 CREATE YOUR NICHE: There is something about personal style, it is unique, it may bring everyone together but it's as different as our fingerprints, it's our art and it's exactly the way we see things, the special strokes we make on our body canvas and our artistic style. 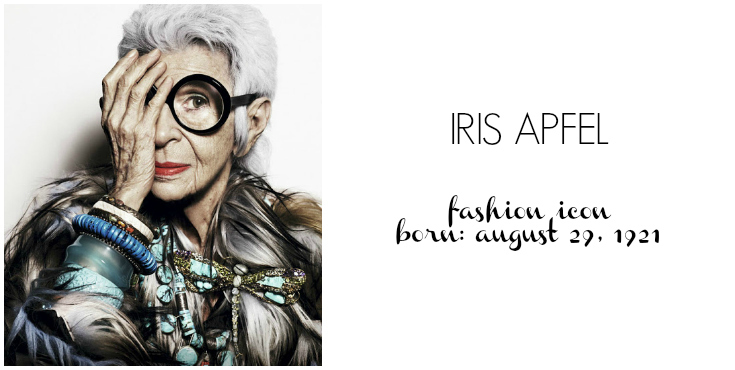 I have seen so many people who love fashion but who don't necessary know it or understand what their personal style really is and those who play it safe, Iris on the other hand stands out and this is because she created a niche that would forever be recognised as the Iris stroke. 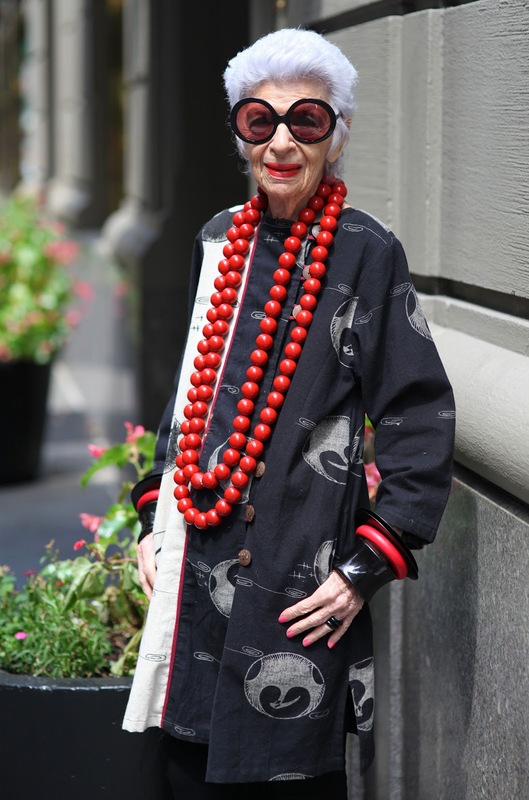 FASHION IS NOT AGE BOUND: This is one thing I have always wondered about, will I still blog at 40 or 45. Of Course I think my thirties will be full of experimenting but will it still be cool to rock shorts at 50 and bold colours at 70. 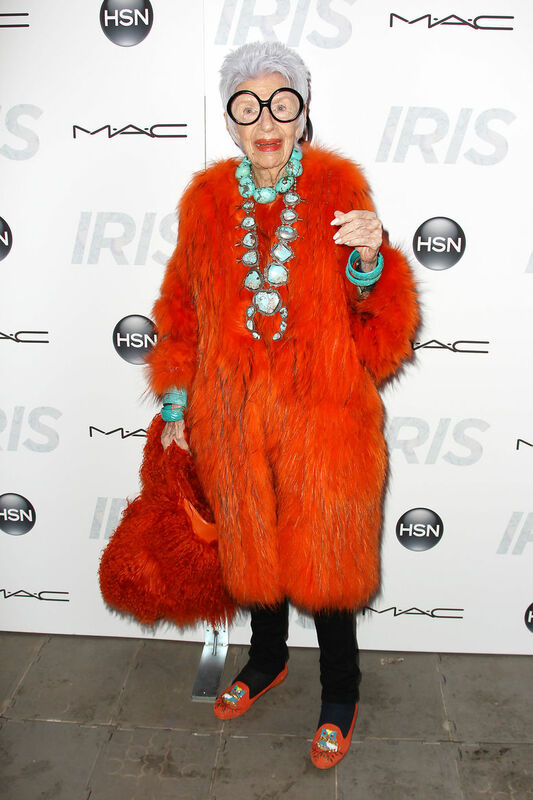 94years old Iris is a motivation that no matter the age if you love it you can do it. ROUND GLASSES CAN BE FOR EVERYDAY: I own about 3 round glasses and they always seem like an occasional wear for me. 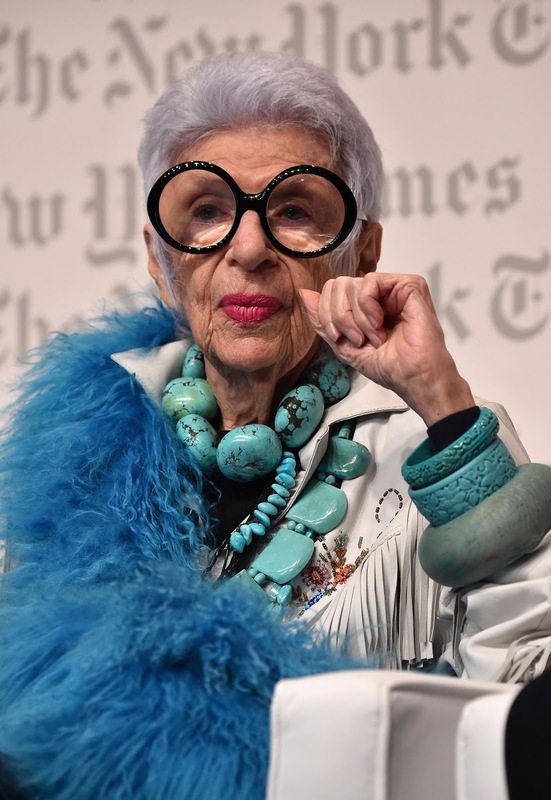 With Iris's signature glasses I can definitely justify wearing a round pair everyday with my face raised up so high you can see her confidence in me. FOLLOWING TRENDS ARE BORING: Obviously when you experience so many trends come and go and come and go and come back again in a cycle that seems like would never break, you wouldn't just keep your flare pants till slim or skinny pants go out of vogue, you will wear it around with style. 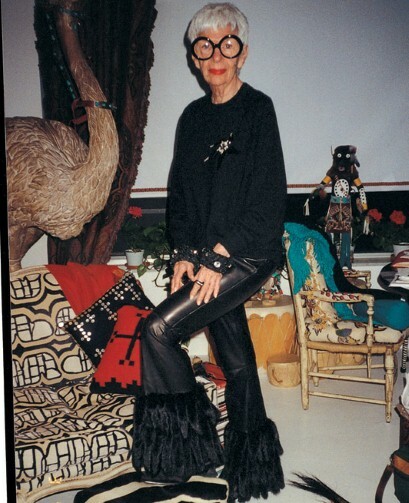 Iris in flare fringed pants sets trends instead of following them. 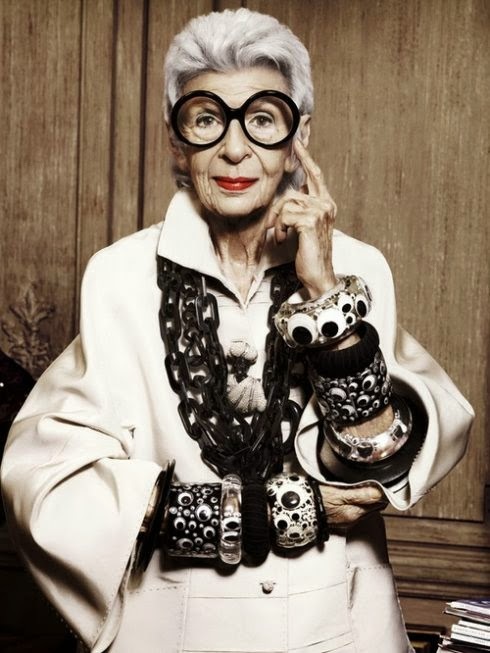 BE A COLLECTOR: Iris motivates me to collect, I read an interview where she said she had been doing this since she was little and started to collect jewelry when there wasn't room to collect furnitures any more, Look at her now, she's like a walking chandelier with so many pretty jewels hanging down her neck. Best part? 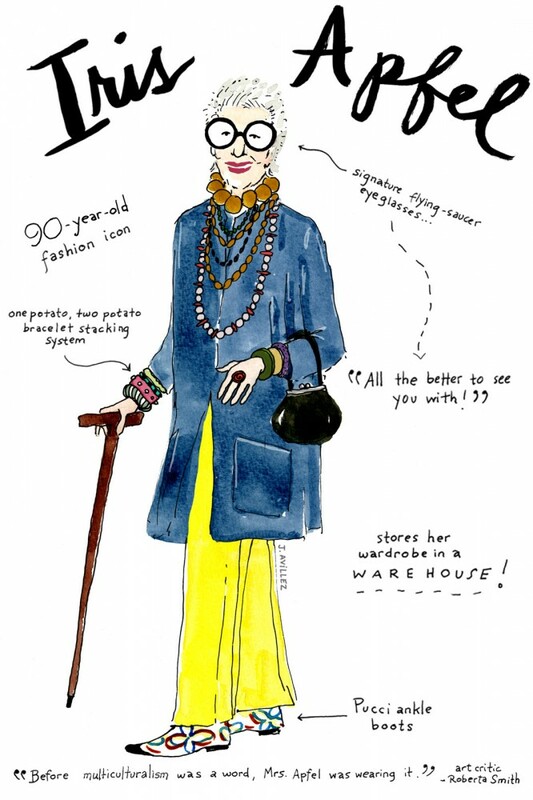 She collects pieces and stores them in a warehouse. 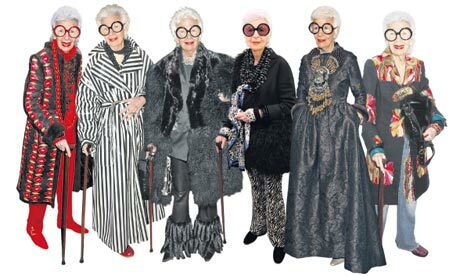 In conclusion, Iris is a 94 years old woman, who is a living fashion Icon who still chases are dreams and attends events especially those organised for motivation purposes. I believe the most important thing anyone can learn from her is, forge ahead, keep chasing your dreams and if you truly love it, keep at it. If you think you've “made it” you still have a lot to learn. You have to know who you are, don't try to live somebody else’s image, especially if it doesn’t suit you. Think out of the box. Rather than trying to do what people expect of you, try new things. Who knows? 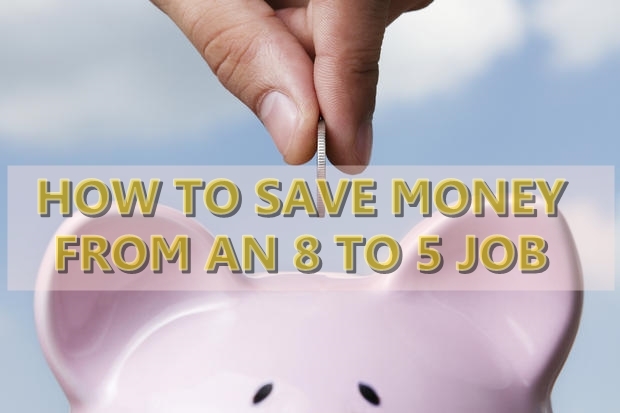 You might surprise yourself. You can’t be interesting if you're not interested. So, start getting interested in being alive. Wear what suits you and what makes you happy. Don't follow trends to be cool. Chances are, you'll end up looking foolish.